Fear not, hungry traveler. 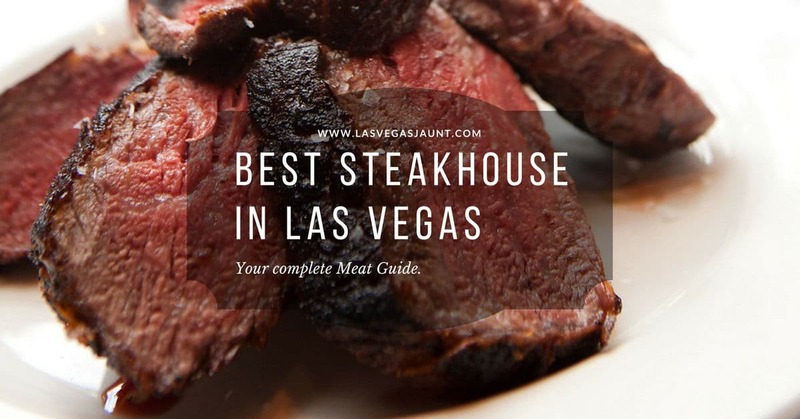 We've got your complete meat guide to the best steakhouse in Las Vegas right here. 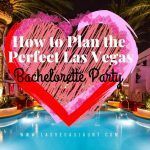 Headed to Vegas? Then there are probably a few things on your bucket list you'd like to do. 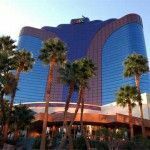 Like head to the casino or see an amazing live performance. Then there's the food. Of course, number one on your bucket list for food has got to be steak. 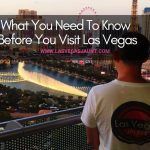 But where do you go to find the best steakhouse in Las Vegas? Fear not, hungry traveler. We've got your complete meat guide to the best steakhouse in Las Vegas right here. Read on, just try not to drool. 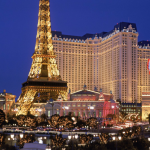 What Makes It the Best Steakhouse in Las Vegas? In my opinion, if you're going to travel, you might as well experience the local cuisine. Especially if that cuisine is steak! So I'm omitting most steakhouses that have more than one location from this list. Instead, try something new. Take a chance on a steakhouse experience that might just blow your mind and your taste buds. Without further ado, here they are. If you're a steak lover, you know that the best steakhouse in Las Vegas doesn't need to be fancy, it needs to be good. You'll find just that at Craftsteak. Craftsteak is known for simple recipes with quality ingredients. They buy most of their ingredients from small family farms. They also boast an impressive selection of scotch, bourbon, and New World wines. If you go, the best thing on the menu is the braised short rib. Or, if you're looking to spend some of that hard-won dough, try the Japanese A5 Wagyu cut. If you're a Gordon Ramsay superfan then, of course, you'll know that the best steakhouse in Las Vegas is owned by him. While he does own two other restaurants in Vegas, this has become his crown jewel. If you go, try his famous beef Wellington. If you're a fan of his show Hell's Kitchen, then you'll be pleased to know they have a tasting menu that allows guests to sample dishes featured on the TV show. Lunch Monday through Friday from 11:30 a.m. to 2:30 p.m. / Dinner Wednesday through Saturday from 5:30 to 10 p.m. / Brunch Saturday from 10 a.m. to 2:30 p.m.
One reason to head to the Country Club is that it overlooks a waterfall. Another reason to head there is if you have any vegans traveling with you, this is one place where everyone leaves happy and with their bellies full. That's because they serve the Impossible Burger, a vegan burger that fools even the most dedicated carnivore. Or, if someone in your group wants a hot dog, their Wagyu beef hot dog is amazing. You'll often find the best steakhouse in Las Vegas located off the strip itself. Sometimes you need a break from all that excitement. The Barrymore is one of Vegas' best-kept secrets. That may be because it's difficult to find. While the steak, including the 21-day, wet aged filet mignon, and the 28-day dry aged bone-rib eye is amazing, that's not the only reason to search out this little gem. There's something for everyone. Like fire pits on the patio. As the name suggests, this place is an homage to the movies. Which is why you'll find empty reels of film hanging from the ceiling. Yet for all its nostalgia, the Barrymore still feels modern. Aside from having a great name, Bazaar Meat is the most upscale restaurant at the SLS resort. Besides steak, Spanish chef Jose Andres offers a wide variety of other meat-based delights. You simply can't go wrong by dining here. Not only will you enjoy amazing steak, but there's an entire meat bar. Yes, you read that right, a meat bar. With every kind of protein imaginable from buffalo carpaccio and wild boar sausage to wagyu beef cheeks. You can even get a whole wood-fired pig. And don't even get me started talking about their foie gras cotton candy. With a name like Golden Steer, you've got to think this place has been around for awhile. Which is why it's also considered one of the best steakhouses in Las Vegas. Another awesome thing that happens when you've been around awhile is that some things get grandfathered in. Like being allowed an open flame in the dining room. So blow caution to the wind and keep some room in your stomach for the cherries jubilee or the bananas foster. MB Steak is located inside the Hard Rock Hotel and Casino. It's a perfect place to go if you're having too much fun to leave the strip. It features two levels of dining and a short wait time. But MB steak goes beyond location and seating because the family behind Morton's The Steakhouse also owns this place. This is perfect for anyone who doesn't like to venture too far beyond their comfort zone. No visit to Vegas would be complete without mentioning the mob. After all, they're the ones who built Las Vegas. So you'd have to think they'd also know a thing or two about how a good steak should taste. To get that great steak with a little bit of the mafia on the side, visit Oscar's. The owner is none other than the former mayor and lawyer to the mob Oscar Goodman. But even if Oscar isn't there to share stories of his mob days, you won't be too disappointed. 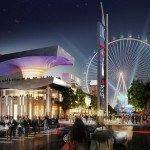 This place also has a view of historic Fremont Street, which made it the perfect backdrop for a dinner scene in the movie Casino. Lastly, Goodman knows how to throw a good party. He often hosts a regular dinner series along fabulous entertainment. As for the martinis? Fuhget about it. 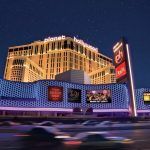 While finding the best steakhouse in Las Vegas is a great reason to visit, it's not the only one. There are always great shows playing and plenty of sights to see. The sights and sounds of Vegas don't come cheap. If you want the best price, sign up for our free VIP list to view our unlisted deals and promo codes.